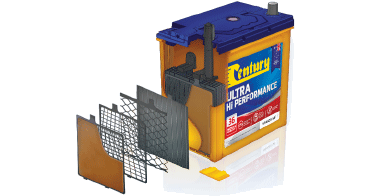 Century Batteries is a division of Century Yuasa Batteries Pty Ltd and an affilliate of the GS Yuasa Corporation. Originally founded in 1928, Century Batteries has grown to become the undisputed market leader in the Australian Automotive battery market. With 600 employees nationally, 35 distribution centres and a state-of-the-art manufacturing facillity, Century Batteries delivers the very best in stored energy solutions to over 8000 resellers throughout Australia. 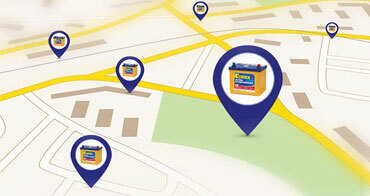 Australian motorists instantly recognise the iconic blue and yellow Century Battery that has been the go-to starting battery for everyday drivers and racing professionals alike for over 90 years. Through constant innovation and product development, Century Batteries has secured market leader status in the automotive, marine, heavy machinery and deep cycle categories and continues to explore new opportunites in the growing solar and hybrid vehicle markets. Our nationwide lead acid battery recycling program collects and recycles over 3000 tonnes of used lead acid batteries each year and partners with Australian environmental organisations to minimise our impact on the environment and leave a cleaner future for generations to come.